A generation of tenants now sees itself as rent-poor, with every last dime doled out for gas, groceries and the landlord. Renters struggle throughout the Bay Area. In San Jose, the median monthly rent for a two-bedroom apartment is now $2,550, far above the national average of $1,560. A similar two-bedroom flat can cost even more elsewhere: $3,080 in Walnut Creek and $4,910 in Cupertino, according to a recent report. As the Bay Area’s economy booms, and as the tech sector continues to expand, this is the new normal for those on the margins: shrinking expectations and shrinking apartments. Nearly 40 percent of working adults in the Bay Area are now “doubled up” with roommates in order to afford rent, according to a study from Zillow. Their tales can get complicated: Rodarte once owned a house in Tracy, but lost it during the Great Recession when he struggled to make mortgage and child support payments. A decade later, with many of his possessions in a storage locker, he lives in that $400-a-month room. In his spare time, he goes door-to-door as a fair housing advocate for People Acting in Community Together (PACT), an interfaith nonprofit. Many renters have stories like Rodarte’s, stories of frustration and struggle in a housing market that has forced them to move from place to place, to double up and to give up on the idea of ever having a stable home of their own. Ashante and Jennifer Parker missed a single rent payment and wound up living in their 2006 Impala with their three young children. Salma Vizcaya watched her family split apart when her parents couldn’t afford the rent hike on the apartment that had been home for more than a decade. Daniela Richey has been stretching her cash and exercising her wits for going on two decades, always trying to stay a step ahead of the next rent increase. She grew up in Mountain View, works in accounting and earns about $52,000 a year. In 2003, she moved into a modest apartment in a 64-unit complex in Sunnyvale, paying $850 monthly for her 500-square-foot, “junior bedroom” home. By early 2016, as the post-recession tech boom pushed Bay Area housing costs through the roof, her rent had jumped to $1,700 a month. It cuts across generations: At age 28, Jessica Page feels stymied, too. 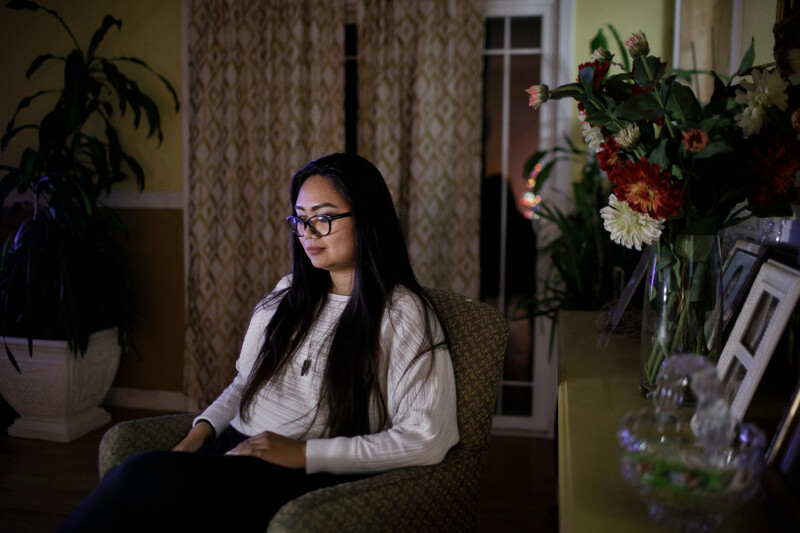 The problem is that nearly 25 years later, Page — a college graduate who earns $33,000 a year as a counselor at a drug and alcohol clinic in San Jose — still lives with her family in Milpitas. She is one of five relatives who now share a house owned by Page’s aunt, who, mercifully, charges affordable rent — a fraction of the market rate. Salma Vizcaya watched her own parents hit a wall. A criminal justice major at De Anza College in Cupertino, she is 20 and could write a book on housing. For her first 13 years, she lived in the same apartment on San Jose’s Westside: mom, dad, Salma and her older sister and younger brother. In 2011, the family paid $1,075 a month, manageable for Vizcaya’s mother, a cashier who worked from 5 a.m. to 3 p.m., and father, a welder whose shift lasted from 5 p.m. to 1 a.m.
“I never saw him come home from work,” Vizcaya remembered, with a laugh. She also remembered this: In 2011, the landlord announced plans to renovate the apartment and raise the rent. The increase caught the family off guard; they couldn’t afford to stay and they couldn’t afford to leave, as rents were shooting up all over the South Bay. The solution was to split up the family: Salma and her sister were sent to live with a friend on the Westside, while her parents and younger brother moved in with a friend from church on the East Side. More than a year later, the Vizcayas were reunited, this time renting a single room in a stranger’s apartment. More moves followed, each one a challenge, including the family’s current two-bedroom flat on the Westside of San Jose. 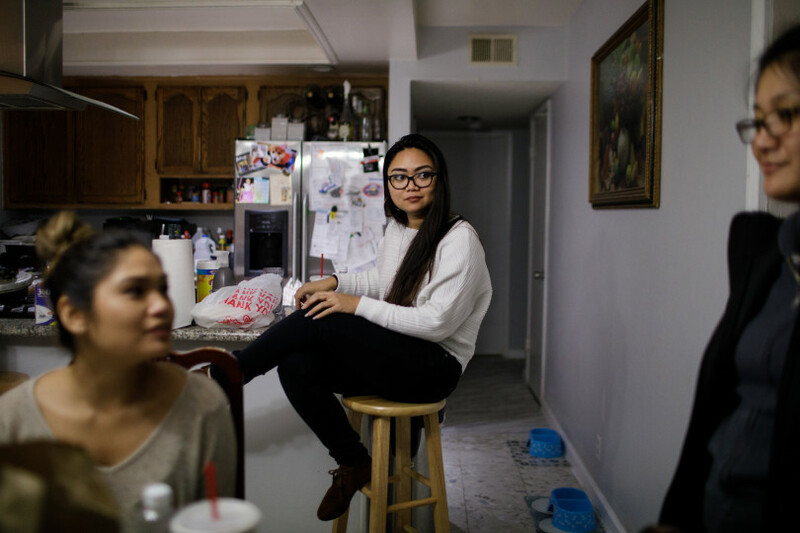 With both sisters chipping in portions of their paychecks from part-time jobs, the family swings the $2,500 rent. Just over a year ago, he worked 16-hour days for a Livermore produce company, driving trucks, carting heavy loads up and down ramps at his delivery stops. He earned decent money — and wrecked his shoulder, leaning into the loads. Out of work, he and his wife Jennifer couldn’t come up with a $950 payment for monthly rent and utilities on their apartment in Modesto. The landlord said, see you later. That’s how long it took to fall out of the middle class. The family spent nights in pop-up shelters, safe-park programs and armories in San Jose, Gilroy, Sunnyvale, Cupertino and Morgan Hill. Churches opened their doors for dinners and nightly showers for the children, providing a semblance of normalcy. Breakfast at Walmart. Trips to the park. But now the family has caught a break. This month, after chilly weeks in the Impala, the Parkers were given a two-bedroom apartment at the Arturo Ochoa Migrant Center in Gilroy, where homeless families receive subsidized housing during the winter months. Then, the search for a home begins again.